An Exciting Addition to Waukeela! We are SO excited to announce that we will be building a brand new dining hall within the coming months! 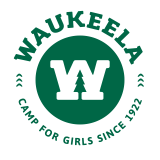 This past summer we were notified by our building staff that there were a few items in the dining hall that were shortly going to provide an unsafe environment for our Waukeela girls! As soon as we were notified, we began constructing a plan to preserve the history of our dining hall, while providing a new, safe and comfortable atmosphere for all of our campers. While our dining hall is full of history and has held incredible meals under its roof for decades, we are enthusiastic about the new improvements that will be made! In an effort to preserve the history behind this structure, we will be preserving the Bung, as well as all of the alumni photos that have decorated the dining hall’s walls for years. We are looking forward to re-creating our old dining hall within the new structure! We especially can’t wait to have a large enough space to entertain all of our campers, alumni, and staff! We will be providing updates as the process continues and please feel free to email Jayson (jayson@waukeela.com) with any questions!